Maree Anderson writes paranormal romance, speculative fiction romance, fantasy, and young adult books. She’s a Kiwi, a New Zealander, and she’s addicted to chocolate — the darker the better (not to mention coffee, and the occasional glass of excellent NZ wine). She’s not quite so addicted to her local gym — she’d much rather do a karate class or go Ceroc dancing than pound the treadmill. She shares her home with a neurotic cat who likes to bring in the neighbour’s dog’s bones, and a manic goldfish who lives for feeding time… rather like the aforementioned neurotic cat. Maree is a current member of Romance Writers of New Zealand, Romance Writers of America, and From the Heart Romance Writers. 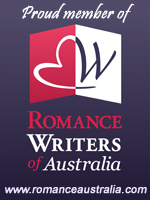 In 2007 she was the recipient of the RWNZ Founder’s Award for her services to Romance Writers of New Zealand. Her first young adult novel, the multi-award-winning Freaks of Greenfield High, has been optioned for TV by Cream Drama, Inc.
She’d love to hear from you, so please feel free to drop her a line via her website Contact form.